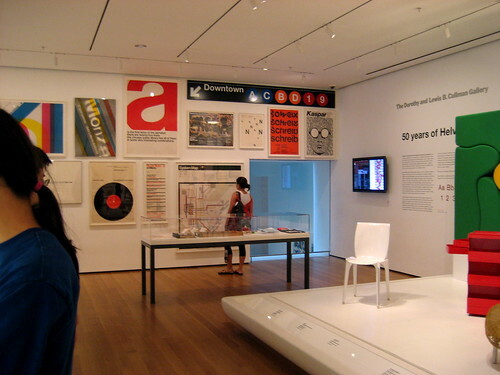 Yesterday, Brian and I made a trip up to New York City to see the Helvetica exhibit at MoMA. It was interesting, but the exhibit was even smaller than I expected. Beforehand I tried looking for information on the web about how large it was to gauge how long it would take, but everyone that wrote about it didn't really go into that detail. So, for future reference by others out there, this photo shows the entire exhibit. Probably one of the parts of the exhibit that I found most interesting was this diagram they provided for comparing Helvetica with Akzidenz Grotesk. Since I have been asked a few times about software for comparing typefaces, the use of translucent overlays struck me as a useful basis for developing such software. More photographs from the trip are over on Flickr. Another unfortunate thing is that they are not doing even irregular showings of the Helvetica documentary at the museum. Hopefully, I'll be able to find it somewhere eventually. Apparently the film was shown in Philly, but I missed it. It looks like I might be able to catch it in DC in September. I am so reminded of this strip. Thanks for the report. 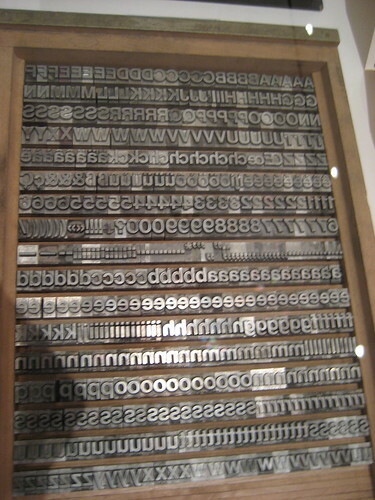 “Helvetica 1957” in the lower-left corner is pretty clearly set in Akzidenz Grotesk. 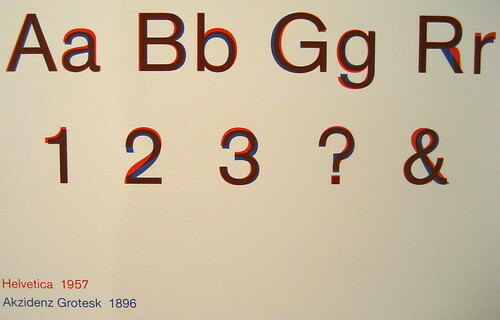 It seems that “Akzidenz Grotesk 1896” is set in Helvetica?